HEFEI, China, Jan. 28, 2019 /PRNewswire/ -- China Tobacco Anhui Industry Corporation, a subsidiary of China National Tobacco Corporation, announces that a new MaPH product from the Toop generation of products, Toop-One (Dian), will be available on Jan. 28th. 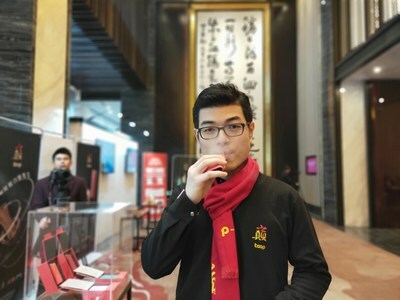 At that time, consumer experience activities will be conducted in China Shenzhen and Hefei, allowing customers to closely experience a whole new mode of tobacco consumption. Compared with other non-combustible heating tobaccos on the market, the new Toop has obvious advantages through its creative use of MaPH. Through the principle of magnetic induction heating technology, non-contact energy transmission is carried out to ensure accurate temperature control and uniform heating, and to promote the rapid and stable release of flue gas. Its energy conversion rate can exceed 80% and 12 cigarettes can be smoked after it is charged for only 45 minutes. It has a small body weighing just 77 grams, achieving the perfect combination of exquisite design and long-term endurance. On the basis of MaPH, Toop-One (Dian) enjoys dual output modes and realizes "dual extractions" (smoke and nicotine of high and low concentrations) within one device. 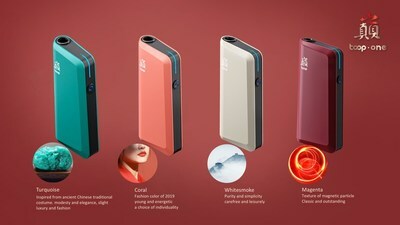 Coming in five popular colors: living coral, magnetic red, turquoise, black and white, Toop-One (Dian) meets the individual needs of different consumers and brings a new experience to tobacco consumption with youthful vitality, exquisite fashion and high-end taste. The new special cigarettes adopt the gold size of 75mm short cigarettes, seamlessly linking up with the consumption experience of traditional cigarettes. At the same time, with an innovative cooling filter rod and optimization of tobacco processing and formulation process, the release of smoke is more mellow, clean and environmentally friendly. Nowadays, new tobacco products represented by non-combustible heating are becoming the development trend of international tobacco products. It can be predicted that the launch of the Toop-One (Dian) Magnetic Particle Homo-heating product by China Anhui Tobacco will create a whole new experience for tobacco consumption.